US bluesman Blind Boy Paxton has announced a six-date New Zealand tour for February 2018, with shows including Auckland, Tauranga, Christchurch, Nelson, Wellington and Hawkes Bay. Blind Boy Paxton is the living embodiment of the true blues in the 21st Century, but plays it all in the true songster tradition - ragtime, hokum, old time, French reels, Appalachian mountain music, blues and lots more. The multi-instrumentalist has earned a reputation for transporting audiences back to the 1920s and making them wish they could stay. He sings and plays the banjo, guitar, piano, fiddle, harmonica, Cajun accordion, and the bones. He has the eerie ability to transform traditional jazz, blues, folk, and country into the here and now, and make it real. 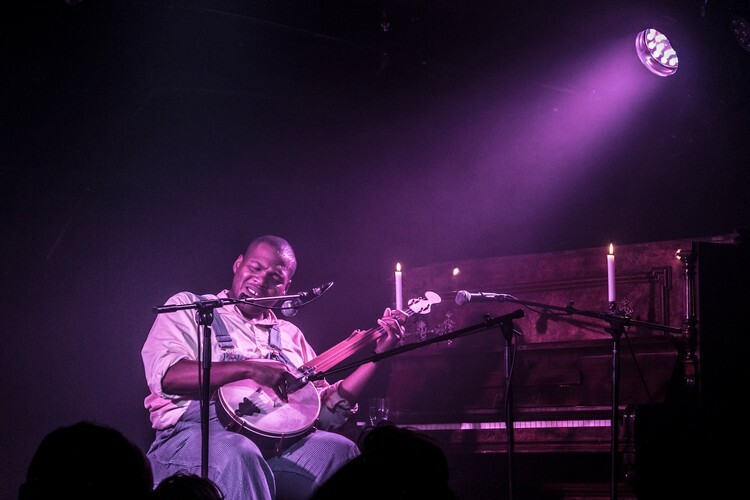 Blind Boy Paxton kicks off his New Zealand run in February 2018 as the special guest of Kitty Daisy & Lewis at the Powerstation on February 11. He then goes on for his own headline shows across the country, taking in Totara Street in Tauranga on February 12, Christchurch’s The Piano on February 13, Theatre Royal in Nelson on February 15, Old St Paul’s in Wellington on February 16, before winding things up in Hawkes Bay at Blackbarn on February 17. Don’t miss out on the opportunity to see the extraordinary bluesman live in New Zealand this February. Tickets on sale Wednesday December 6. February 11 – Powerstation – Auckland – with Kitty, Daisy & Lewis (tickets from www.aaaticketing.com). February 15 - Theatre Royal - Nelson (tickets from http://www.ticketdirect.co.nz).